distance of your near and dear. 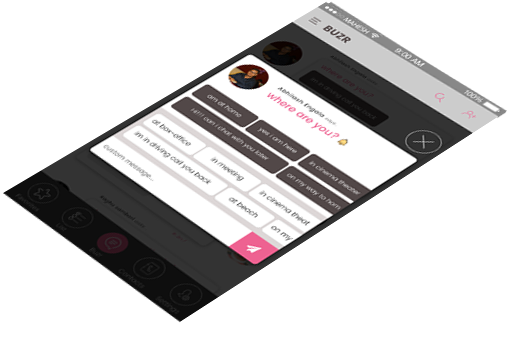 Be in the know with Buzr. without being away from the world. know you’re on your way. Choose from existing Template or create your own! All in a flash!! Easy and free download across multiple app stores for Android and iOS. Download iBUZR App in the App Store or Play store to start sharing messages. 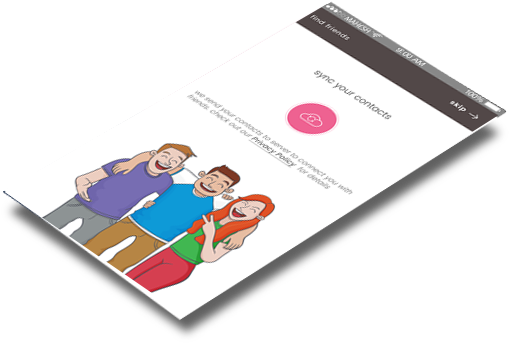 Sync contacts from your handphone and get started. A soft whistle will alert when someone is looking for you. Send out group alerts to invite for any event. Two options to choose – Ringer or Vibrate. 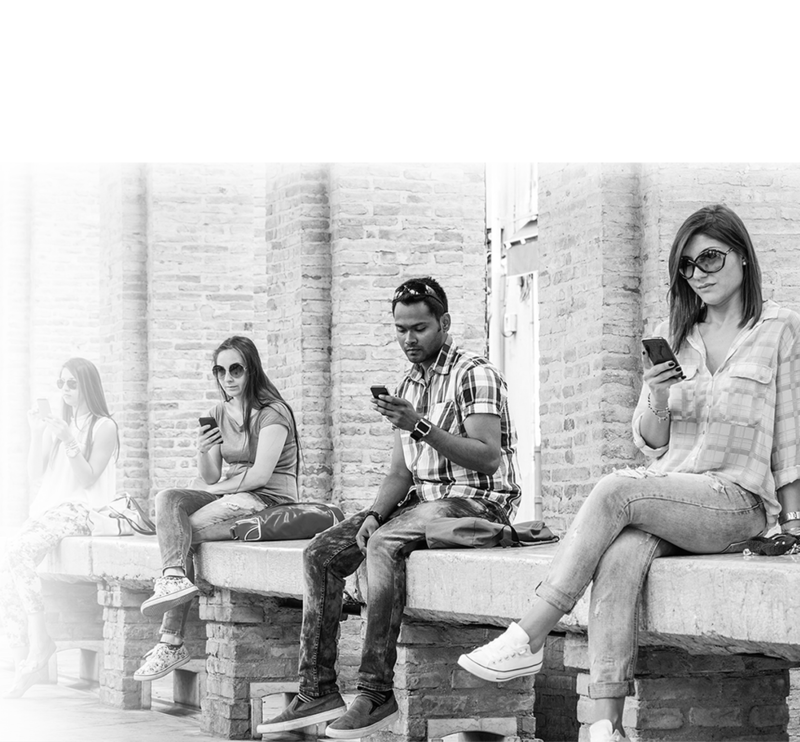 How iBUZR is different from other available chat applications? How do I get iBUZR for my phone? How do I login to the iBUZR? What features does iBUZR have? Will my app work offline? Why should I update my mobile app, when prompted? How can I use iBUZR on mobile device? What if I change my iBUZR phone number? I have phone with 2 sim cards. I can put two programs at once? I am in roaming. How much I will pay? Why does iBUZR use my phone number and my address book? How to add an international contact number to iBUZR? Can I block any unwanted contact? Can I invite my friends for a group chat? 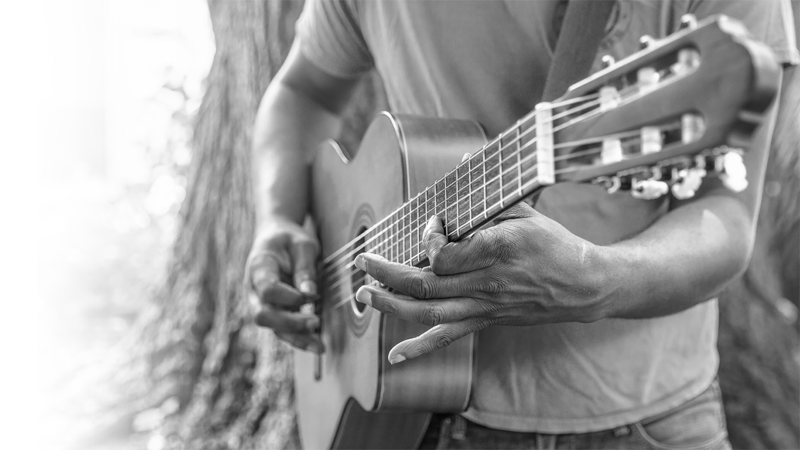 Can I hear the page alert tones when my smart phone is on silent? How can I remove my chat history? How do I send a quick message? 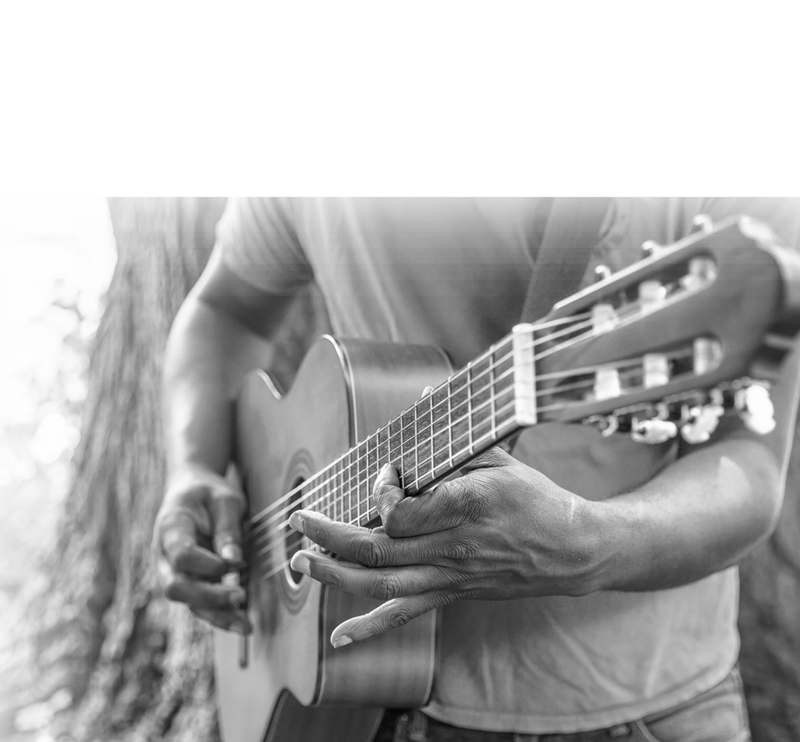 How do I get the DP/ profile picture of my friend? How to add a message to list for a friend? How to add a favorite message for a friend? How can I send a ringger message to a friend? Why my new contacts don’t appear in the iBUZR contact? Can I put password on iBUZR? How do I uninstall my iBUZR account? How do I reinstall iBUZR? 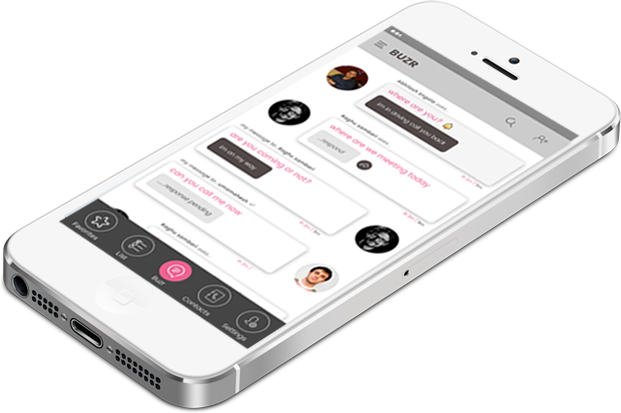 iBuzr is a cross-platform instant messaging application that allows iPhone, Android, and Nokia smartphone users to exchange text, image, video and audio messages for free. 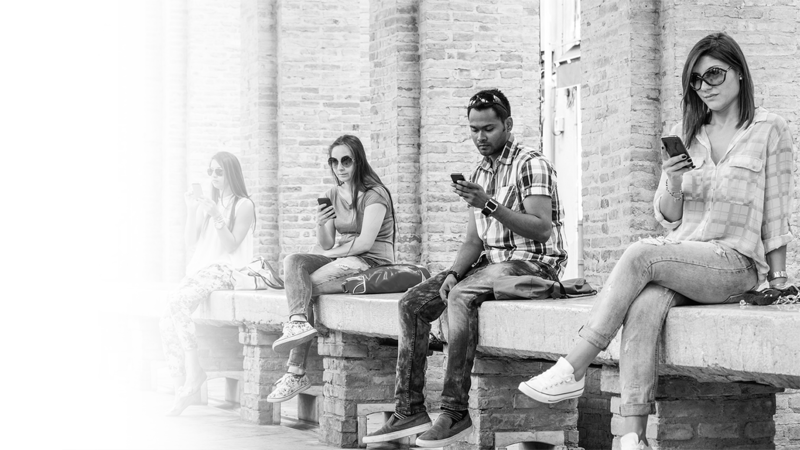 iBuzr is a cross-platform instant messaging application that allows iPhone, BlackBerry, Android, Windows Phone and Nokia smartphone users to exchange text, image, video and audio messages for free. iBUZR is not a simple chat application. Along with messaging, it allows you to send quick message from pre-existing messages and save your selected message to the favorite list. 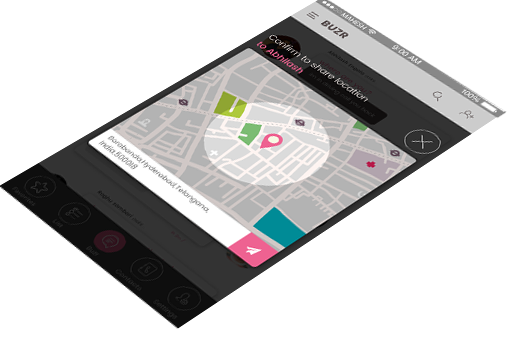 Using iBUZR, you can share your location with your friends and can send SOS message for your safety purpose. No! iBUZR is completely free to download and install. Available on PlayStore and Android Market. . Simply look for the iBUZR in the app store or in android market and install the app for your phone. If you can’t find iBUZR, that means your phone is not supported. (See the list of supported operating system). After installation, the app will display the loin page; here put the valid credentials, i.e. user name and mobile number. Then the app will prompt for OTP (One Time Password), sent to your given mobile number for login process. After getting the OTP message, iBUZR automatically reads the OTP and lets you use the app. Enjoy the iBUZR. For your profile, you can edit your iBUZR DP (display picture), set a notification pattern- ringer or vibrate and message receiving option. In order to customize your profile, click on the setting icon at bottom of the app screen. Here click on your DP to edit it, select a notification pattern from the provided options and check the setting option to get messages even when your mobile is in closed or locked state. No. Our mobile app needs internet connection for real time usage. Yes! All critical information is encrypted and no personal info. is stored on your mobile device. To get all the advanced features of the updated version, you need to update your app, whenever the system prompts for update or the app will update automatically, if you enable the auto-update feature of your device. 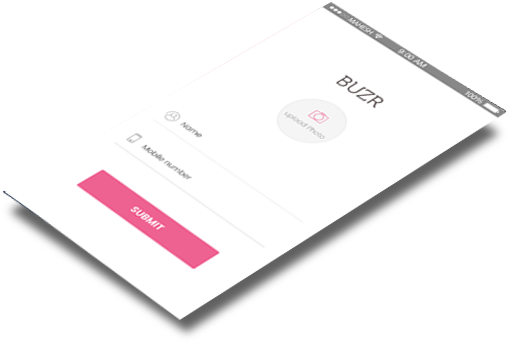 To use the iBUZR mobile application, all you need is to download and install the application from the play store or from the android market with an app supported device. Make sure that your device is connected to internet. After installation go through an easy login process and allow the app to access your phone contacts, photos, media, files for smooth processing. Now the app is fully ready for use. If you change your mobile number, then you need to reinstall iBUZR with your recent mobile number as a new user and old account data will not be migrated over the new account. If you are in roaming, then you may pay extra charges for the data usage as per your data plan. 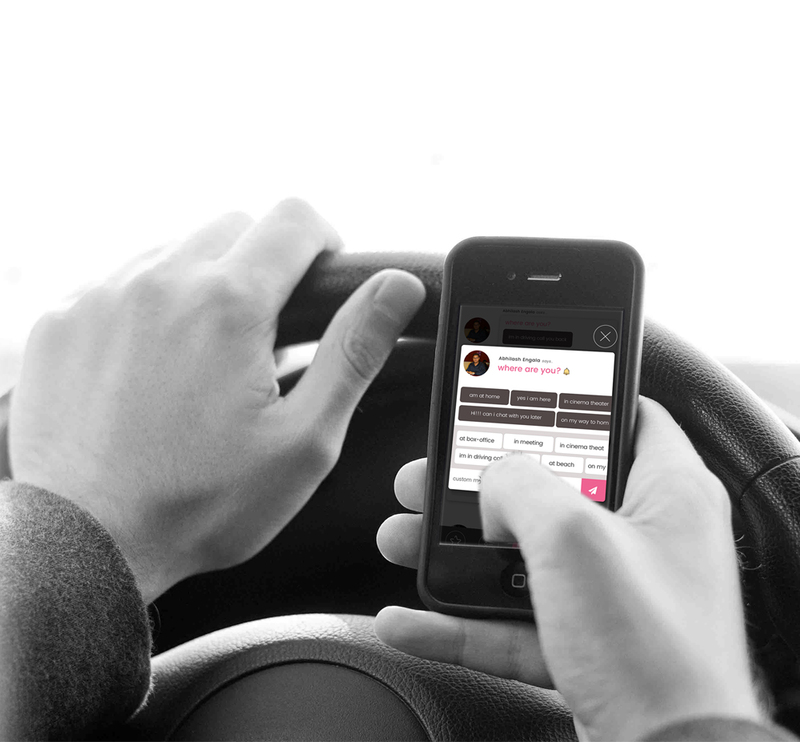 There is no extra pay for using our mobile app. iBUZR use your phone number only for the app login process and sync all your phone contacts from your phone book to add them to your app contacts. It’s just simple as adding a contact to iBUZR from your phone book. First save the international number to your phone contact correctly. Then follow the same procedure for adding a contact. No. Our iBUZR mobile app provides only one to one conversion. iBUZR location sharing feature will be available only in location enable state. Hence, make sure that your phone location must be active. Then click on the list icon of app screen bottom and select the friend you want to share the location with. Afterward, click on the “+” button placed at the right of the selected contact and the system will display the message box having a location symbol. Click on that location symbol and the app will prompt to confirm sharing. Here click on “BUZ it” button to share your location with the selected contact. On the list screen of the iBUZR app, click on the user image of your friend, to whom you want to send message and the system will display the message box with pre-existing messages. Here select any default message or type a custom message in the message box and click on the “send now” button to send a quick message. On the list screen of the application, long press on your friend’s user image and the system will display the profile picture of your friend with user name. On the list screen of iBUZR, click on the “+” button, right to the user name and the system will display the message box with some default messages. Here click on any default message and the system will automatically add that to list or type a custom message and click on the “add to list” button to save your message for your selected contact. Then get back to the list screen by clicking on the cross mark at the modal message box top. First add the frequent messages (you want to save as favorite) as list message for a friend. Then click on the heart symbol at the right of the user name of your friend and the system will display all the listed messages for the selected friend. Here click on the messages you want to add as favorite which will turn the gray heart symbol of the message in to pink heart. After completion, click on the “done” button at the right of the user name and addition will be reflected on the favorite screen of the app. iBUZR automatically sync your phone contact during the login process. Hence recently added contacts may not appear in the app contact. To make the new contact visible, click on the “sync” button at the screen top. That’s all. In your phone, long press the iBUZR icon and drag it to the “uninstall bin” at the top of your mobile home screen and the app will be uninstalled. It’s all same as the installation process. to start sharing messages today.